When you plan a journey of moving house to another city – then you should know the two main opts for professional removal services. The first one is man and van hire, which is one of the best opts when moving on a budged or when you want to do most of the things by yourself. The second choice is hiring more men with a bigger van or maybe with a removal truck, which is a recommended opt if you move with all your possessions from a two-storey house, for example. Check out the rest of the advantages of these two opts so you can easily take a pick for your next relocation. Book this service if you just can`t barely fit the removal boxes in your normal car. First, try to use all the space-saving techniques like lowering the rear seats of your car or filling the void spaces in the boxes with textile objects and other light materials. Then, if you still can`t fit your possessions in a normal car – the man and van services are indispensable. The professional experience of the man helps you to find the best solutions when handling and loading the boxes, as well as during the arrangement of the boxes in the van. There are some specific tricks for the safety of your belongings that only the man knows, because he knows better his van, the specs, how to lower the center of the weight, and more. The professional help of the man is indispensable when lifting heavy objects as well. 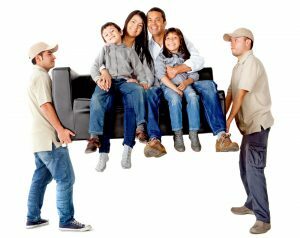 Last but not least, hiring man and van is one of the cheapest opts, when you get full advantage of the a professional removal services and at a lower cost. It`s just the perfect opt when moving on a budged or with only a few dozens of boxes and objects. The choice of a smaller van gives you plenty of other complimentary advantages. First, the smaller the van – the easier for driving. It can freely turn and go through most of the small streets in the city, as well as avoid traffic jams during the peak hours. The small van requires less space for parking, which means that you don`t have to aware your neighbors about your arrival or to free more parking space. The small van burns less fuel and it may have plenty of other amenities that offer other advantages, but these are the basics.